I like a good iced mint green tea, a hearty vegetarian meal, unnecessary latte art, cold Cape Cod beaches, Cuban salsa dancing, geometric jewelry, site-specific theater, folksy world music, big family events, bike shorts under long dresses, weird CSA veggies, free NYC events, a specific bearded carnivore, and red wine on rooftops. I don’t like avocados. When I was traveling by myself in Jaipur, India, I told my hotel clerk guy that someone had recommended I try dal bati churma, the local specialty made of crumbled graham balls with dal, ghee, and something sweet. Instead of telling me a restaurant, he said “okay, half an hour.” Lo and behold, half an hour later, here arrives dal bati churma for two. He shows me how to assemble it and how to eat it with my hands. 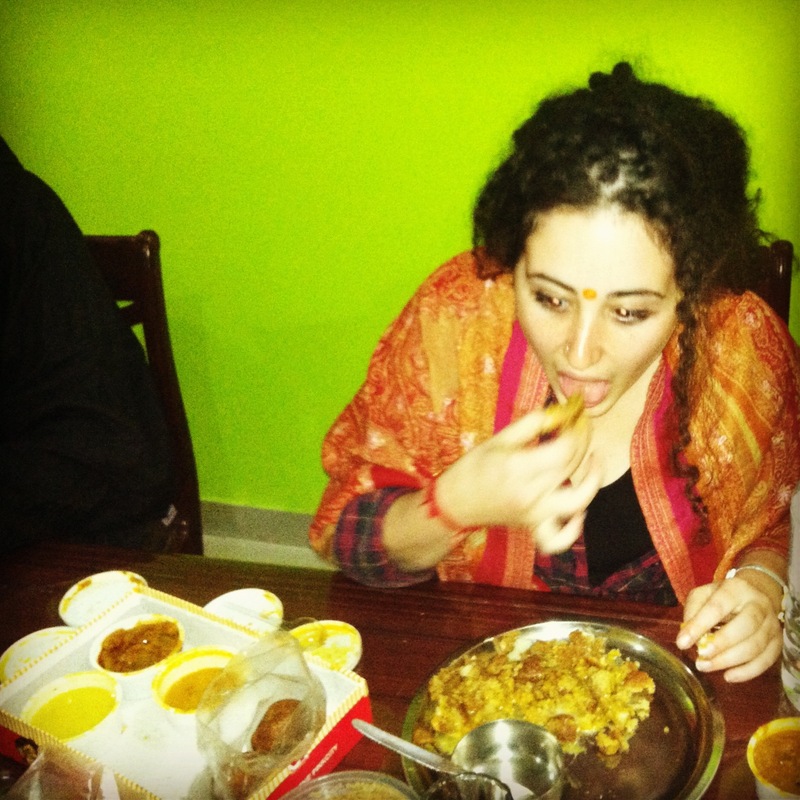 It was one of the tastiest and most special meals I had in India, and he refused money and even my countless thank yous. “No thanks needed between friends, and besides, I didn’t want to eat by myself either,” he said. And so, in the spirit of that kind man, here’s to sharing meals and moments with friends and strangers alike. I love that story! How truly wonderful..
all of your recipes are inspiring.!!!!! !